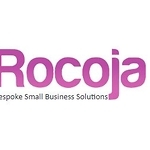 Rocoja supports small businesses, individuals, charities and people in the public eye with social media marketing, blogs, press releases, branding, responsive yet extremely cost-effective websites and PR (events, articles, TV appearances etc). Christmas Break from Dec 21st - Dec 28th. Not original content, copied text. Brilliant article, just what I was looking for and I'd love to use your services again - thank you!